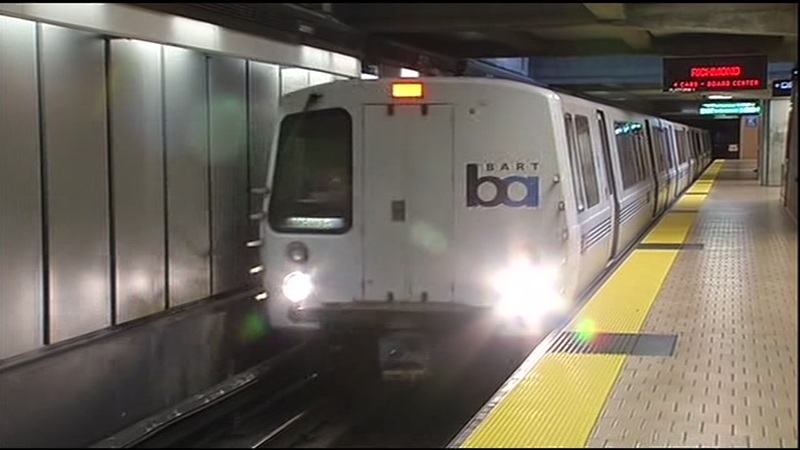 SAN LEANDRO, Calif. -- BART police are investigating an assault with a deadly weapon that occurred Thursday at the BART Bay Fair Station in San Leandro. Police said a man was sitting inside a train car at 7:31 p.m. when another man hit him in the head with an unknown metal object. The suspect also punched and kicked the victim before fleeing the train and running out of the station, police said. The victim and witnesses told police the attack was unprovoked. The victim was transported to the hospital with injuries that were not considered life threatening. The suspect, described as a black man in his late 30s, 6 feet tall, with a muscular build and wearing a gray shirt, tan shorts and black shoes, was not located. Click here for all crime reports submitted by BART.